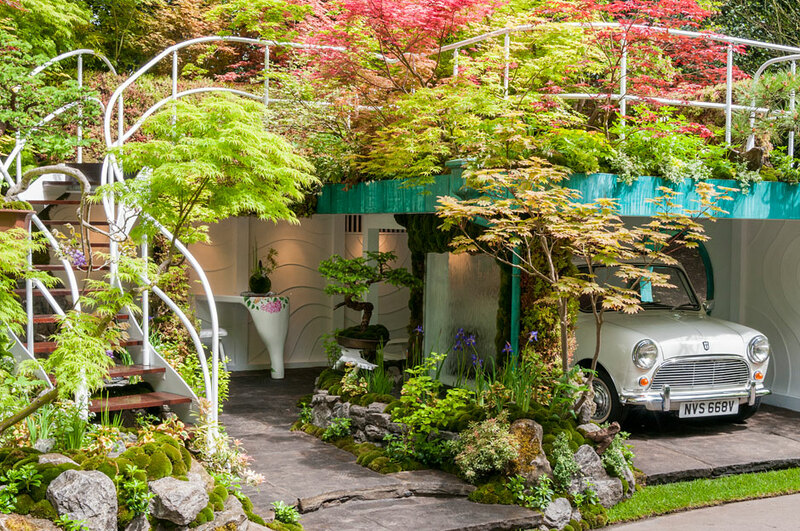 When you've won gold medals four years running at the foremost flower show in the world, you're entitled to take some risks, which is exactly what Japanese landscape artist Kazuyuki Ishihara did with his Senri-Sentei Garage Garden. 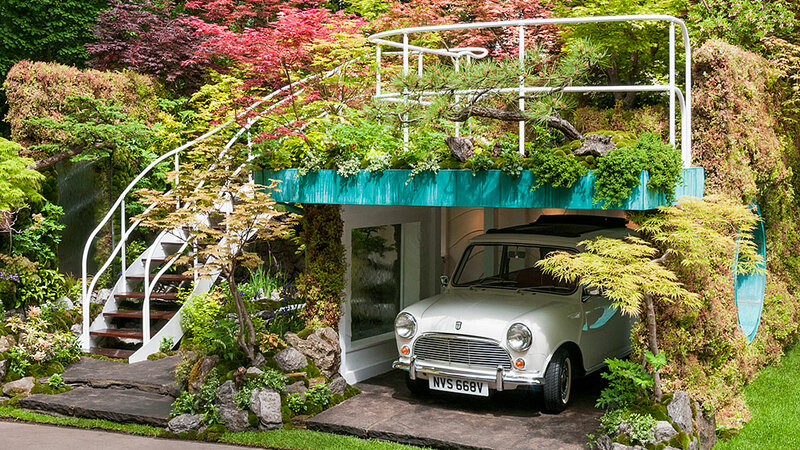 The bizarre idea of a carpark/garden amalgam paid off when Ishihara presented the lush result at London's Chelsea Flower Show last week, earning him yet another gold medal in the Artisan Gardens category. 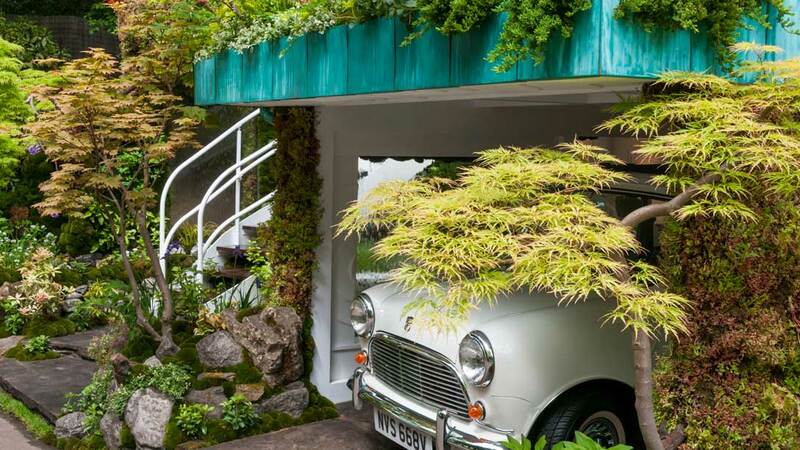 Designed for an antique car enthusiast, the Senri-Sentei Garage Garden is a two-tier structure covered in verdant plantings that are meant to complement the vehicle inside. 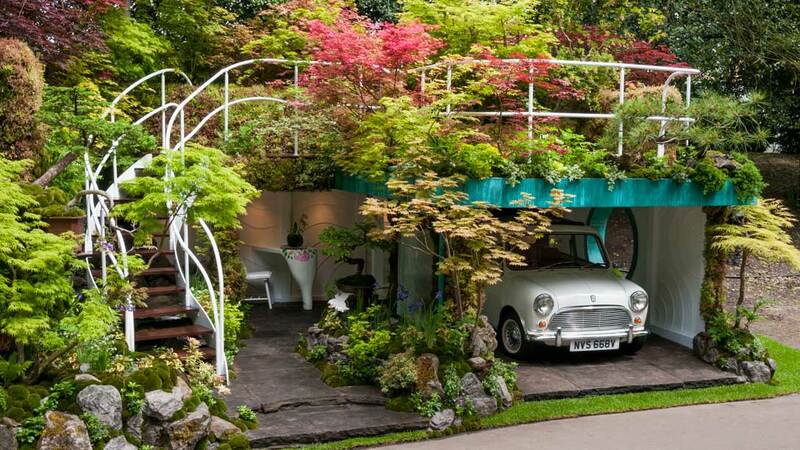 While the ground floor offers essential parking space, the rooftop provides room for a family to relax.